Will Chromebooks play a part? 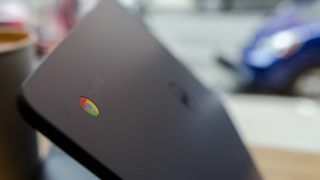 Days after Gartner reported that the education market is big business for the Chromebook, Google has gone official its new learning management system called Clasroom. The service, which is free for schools and was originally introduced back in May, is open to anyone with a Google Apps for Education account. It's available in 42 languages and has already registered more than 100,000 signups from 45 territories. Classroom is essentially a content management system (CMS) meet Wiki, a solution that's tailored for the educational market. So features like adding and removing students, providing feedback on grades, posting updates and homework are defacto included. As expected, the product is integrated with Google's own set of online services like Google Drive and Google Apps. In the US alone, nearly 90% of all Chromebooks are sold to educators, a market worth tens of billions of dollars. Google previously confirmed that Classroom will contain no ads and will never use content or the student's data for advertising purposes. It will compete with a raft of other proprietary or open source solutions like Blackboard, Moodle or WebCT.